Facility executives say that money often is the biggest obstacle to smart building strategies. Tom Walsh, chief engineer for Transwestern Commercial Services, stresses this includes not just first cost, but also return on investment (ROI). “We prefer ROIs in two to three years,” Walsh explains. He also looks for energy improvements that will increase the value of the building. Thomas F. Smyth, director, facility services at Cobbleskill Regional Hospital, also believes another obstacle is education and training. “How much quality training is available from the company that sold you that system?” Smyth asks. “Sometimes the training is free. Sometimes training is so expensive you cannot afford it.” On the topic of training, Smyth also believes refresher courses are valuable both for existing facilities staff and for new hires. Kristina Moores, an associate at Arup, an engineering and design firm, thinks the biggest obstacle to smart building strategies is not all building systems are tied into the building management system, followed closely by the lack of user education. “There are many vendors selling smart equipment and programs, but the new software may not allow for coordinated systems and points reporting from existing building systems,” Moores points out. It’s worth noting that fairly significant numbers of facility executives say their organizations haven’t taken steps to make the facility smarter. When those organizations are factored out, the vote for the value of smart building measures is even stronger. Looking strictly at respondents who have taken smart building measures, 96 percent say those steps improved energy efficiency, and 86 percent say they improved sustainability. These results are in line with the experiences of those who are familiar with smart building strategies. Facility executives and independent experts alike have seen that smart building strategies can improve building performance, increasing overall energy efficiency and assisting in sustainability efforts. In addition, the savings in energy costs can improve the bottom line. According to CABA statistics, advanced smart building strategies can reduce energy use as much as 50 percent compared to unimproved buildings, “with the most efficient buildings performing up to 70 percent better than conventional properties,” says Zimmer. With smart building strategies, energy efficiency isn’t achieved at the expense of occupant comfort. “If you put the effort and brainpower into your BAS, you can get what you are looking for in controlling the comfort level and also keeping a handle on the energy side of things,” says Smyth. Provided senior management buys into the smart building strategy, implementation and execution are thought out, and accountability exists, “smart building strategies can significantly lower operational costs through optimizing building functionality across different systems such as lighting, HVAC, security, elevators, etc.,” says Rob Murchison, co-founder of Intelligent Buildings, LLC. Murchison also points to the importance of retrocommissioning and continuously commissioning the building, as well as monitoring and measuring progress. Key strategies that enable energy efficiency and sustainability ideally use BAS and building energy management systems from building inception, suggests Zimmer. On-going commissioning also is critical. “Through the use of these technologies and techniques, building owners and managers can realize many financial benefits, including lower energy costs, lower maintenance costs, and lower repair and replacement costs,” he explains. It’s important for facility executives to present a complete picture of the economic value of smart building measures when seeking funding. “Building managers can use life-cycle costs analysis to calculate the cost of a building system over its entire life span,” notes Zimmer. The life cycle process analyzes the long-term impact of construction and infrastructure costs on forecasted operational costs throughout the expected life of the property. Experts agree that people play a crucial role in smart building strategies. For Shircliff, the three pillars of a smart building strategy are buildings, people, and technology. “The buildings must be enabled and the people, including process, aligned to best leverage newer technologies and basic information technology (IT),” he says. Walsh also believes keeping building occupants informed helps in energy conservation and sustainability efforts. He uses a newsletter to tell building occupants how much paper is being diverted from landfills, the advantages of using automated faucets, and even the benefits of variable frequency drives. Zimmer sees a smart building strategy as combining IT, equipment, and the efforts of highly skilled people. 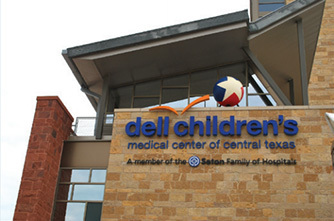 Located in central Texas, Dell Children’s Medical Center is part of the Seton Family of Hospitals. The 503,000-square-foot medical center has achieved LEED Platinum certification for new construction. Acting as the heart of this accomplishment is a building automation system (BAS) that efficiently integrates numerous facility systems and devices. From a single workstation, technicians can monitor and control indoor air quality, HVAC operation, and utility distribution. An energy management system also integrates the fire alarm system and provides air handling system control. The medical center’s BAS supports complex smart building strategies for energy conservation and sustainability. For example, integration with variable frequency drives in combination with underfloor systems drives energy costs down. In addition, chilled water consumption is monitored, kilowatt-hour use is calculated, and run time on all pumps is managed by the BAS. This entry was posted in Industry News, Industry Resources and tagged BAS, Building Automation System, LEED, Setpoint Systems Corporation, smart building on March 7, 2014 by setpointsystems.